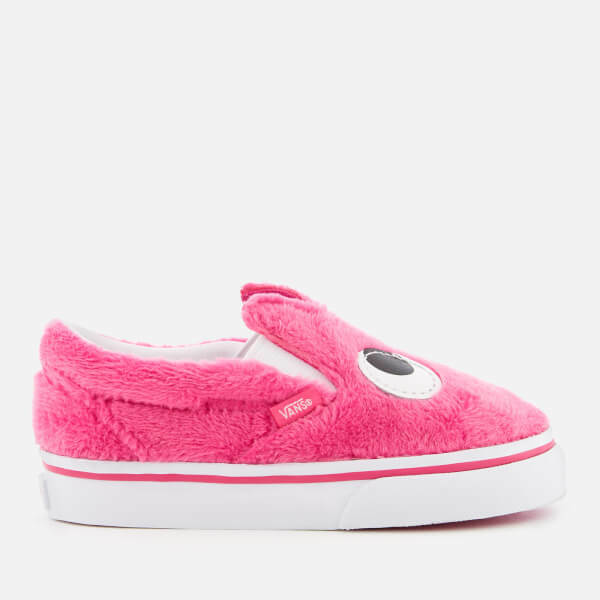 Kids' slip-on Vans in pink fur with a playful pair of eyes on the front. 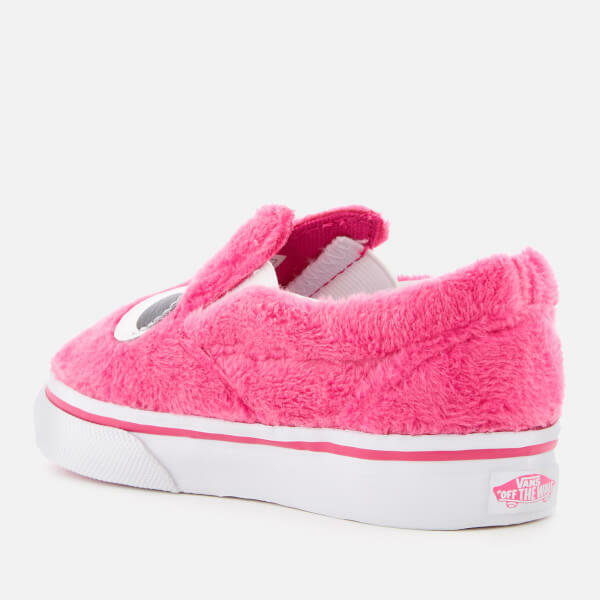 Crafted from soft textured fur, the ‘Party Fur’ slip-on trainers are designed with a signature Vans logo tab on the vamp and elasticated sides to easily get them on and off. The sneakers sit on a white rubber sole with the iconic waffle textured outsole for optimal grip. 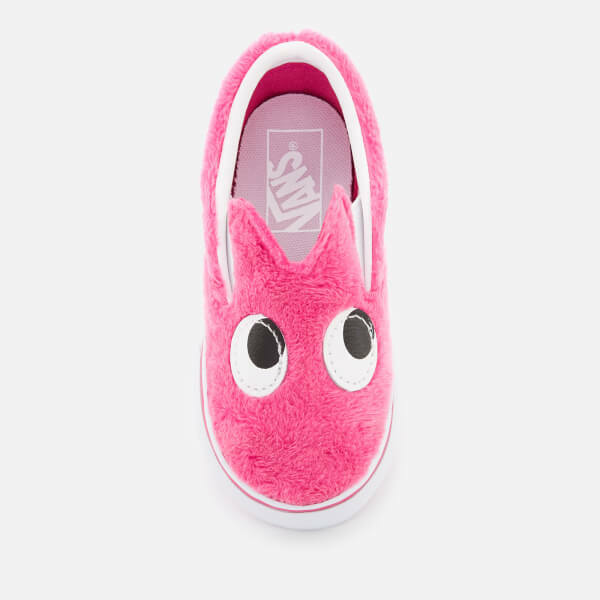 Complete with a padded ankle collar, a contrasting pink stripe on the midsole and a signature Vans ‘Off the Wall’ licence plate on the heel.